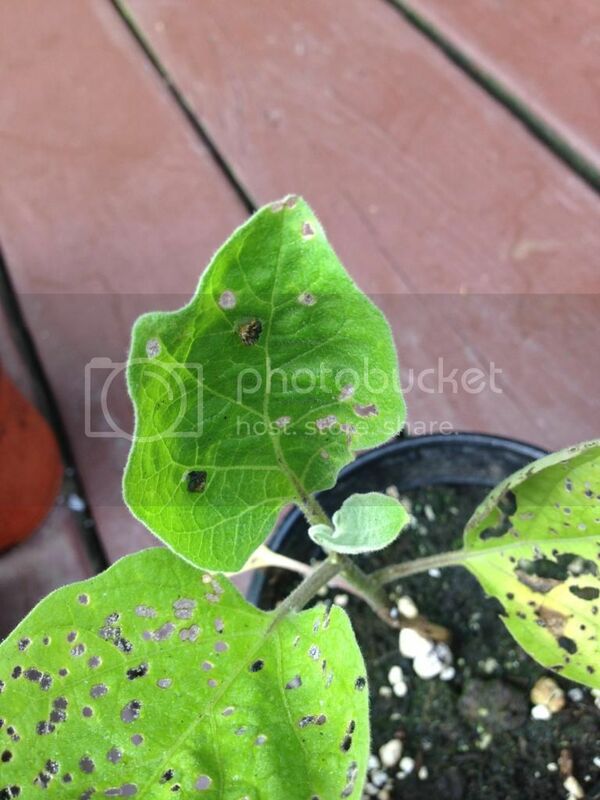 I have a question about mealybugs... Well I think I have some on my eggplant leaves, but they are green. A day ago, I found a white one on my corn plant. 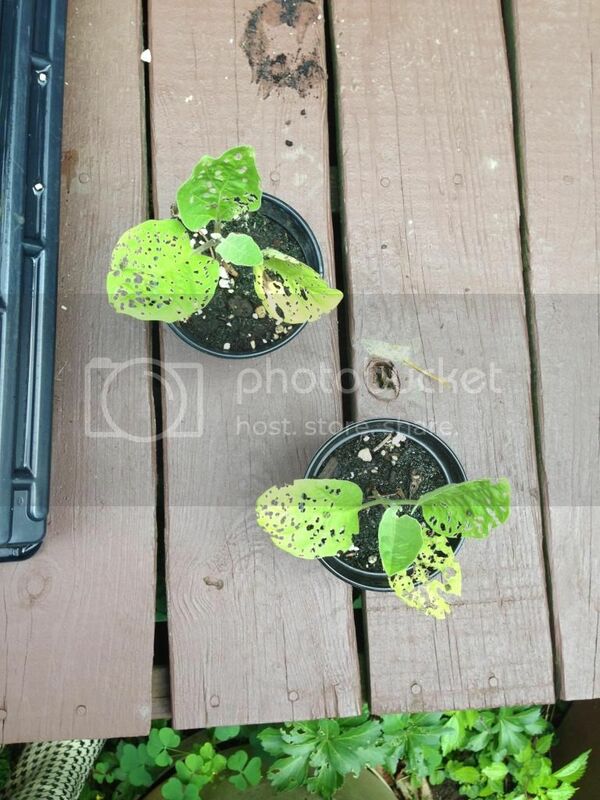 The eggplant leaves originally had some type of brown things on it which later hatched into these green things (they still have the brown things attached). So if anybody knows anything about this, please help me!!! What should I do?! Last edited by 6sparkpug6 on Sun Aug 03, 2014 7:19 pm, edited 1 time in total. Don't they look like green slug caterpillar? Hm maybe... What about the white one? Is that one a mealy bug or a green slug? I think the green slug caterpillar looks kind of cool. That white thing looks to me like a molted empty bug skin. 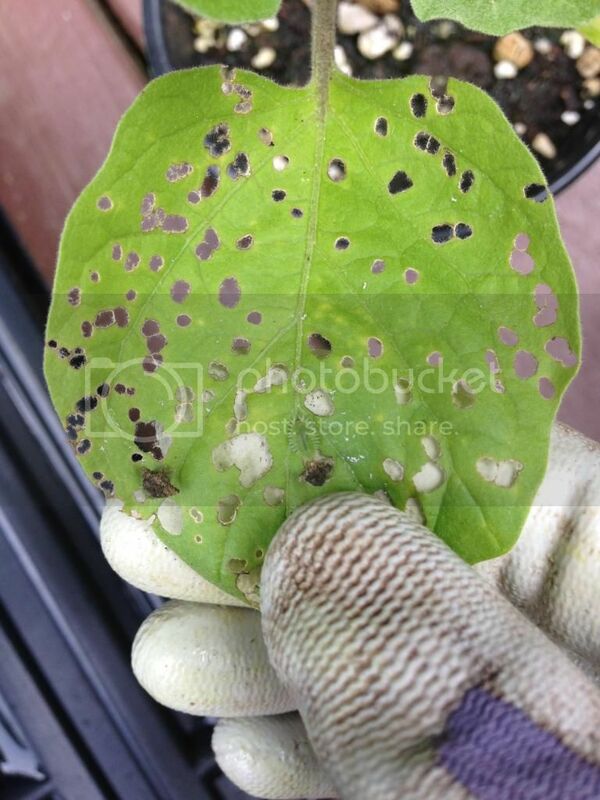 But I seeing brown looking bug on almost every leaf (is that really a bug or a hole?) 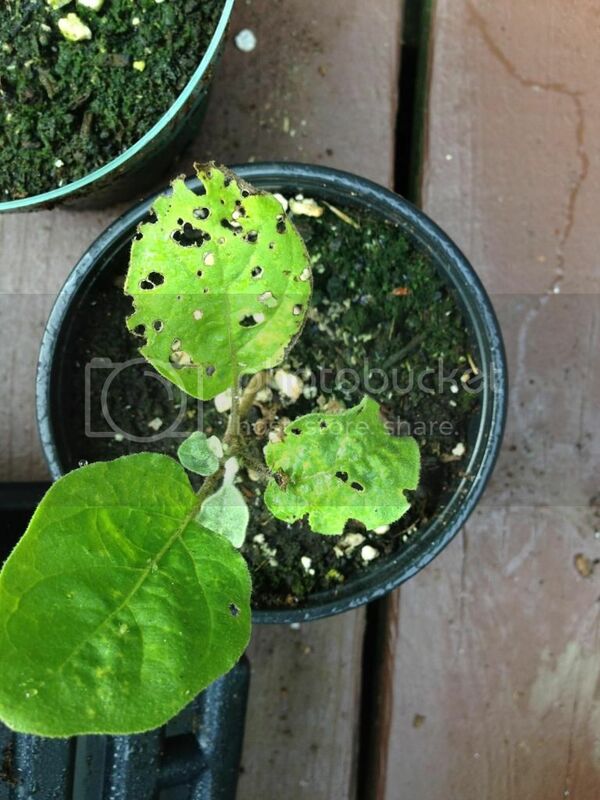 that to me looks like a plant hopper. Plant hoppers have feathery white fringes at a young phase and that might be the "white" bug you are seeing. 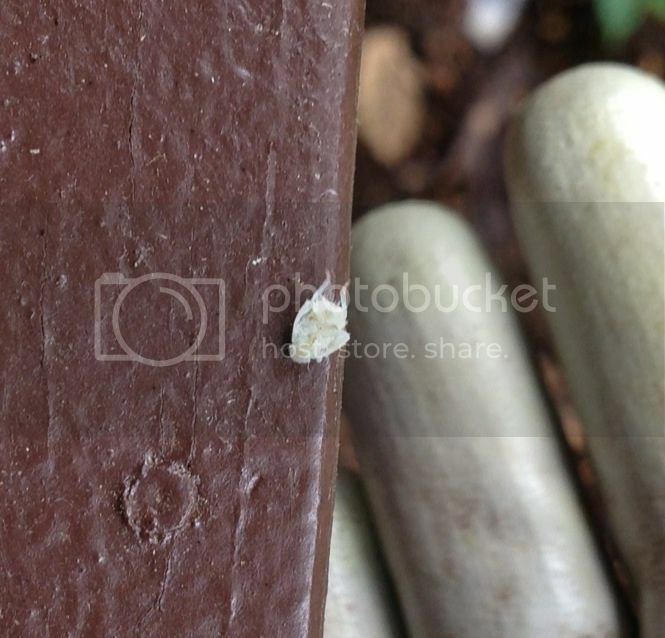 So a year later, I finally found out what this bug is (not the white one but the one in the second batch of pictures). Turns out that it is was clavate tortoise beetle larva and it is now a clavate tortoise beetle, attached below. Last edited by 6sparkpug6 on Sat Jun 13, 2015 1:56 pm, edited 1 time in total. Ooh! Thanks for the followup. 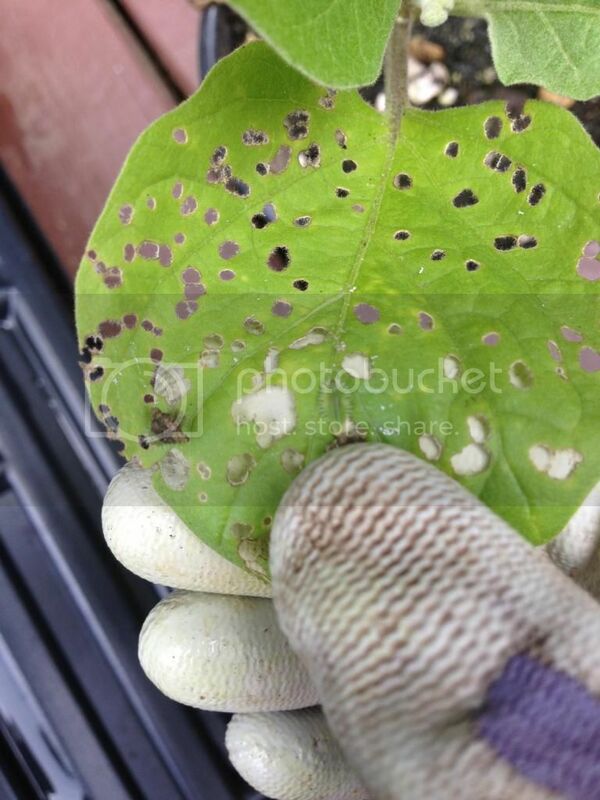 I've found three of those tortoise beetles on my potato plants while looking for fleabeetles. Now I will also be on the lookout for the green juvie. I like that photo with the beetle on the end of a straw -- that REALLY shows up the likeness to a tortoise.